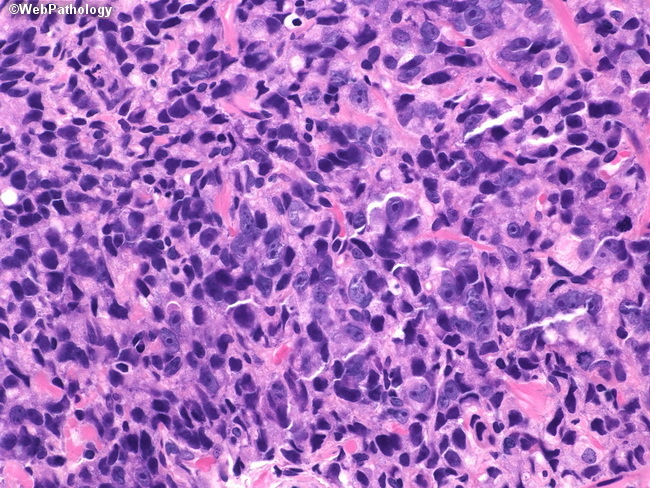 Solid sheets of tumor cells with no discernible gland formation (Gleason score 5+5=10). The degree of pleomorphism seen here is greater than that in the previous case. Better differentiated areas (Gleason score 3+4=7) were present in other locations in this 12-core prostate biopsy.